Texas freshman Mohamed Bamba is almost certainly going to be a high lottery pick in the 2018 NBA draft, and although he is not the most-talented big man in the draft, he is the most physically-gifted. He is 7'0.5" tall with an extremely-wide 7'9.5" wingspan. He has a thin frame, so much of that wingspan is derived from his arm length and not from shoulder width. He has been able to bring his weight up to 225 pounds. Mohamed is far from a finished product. 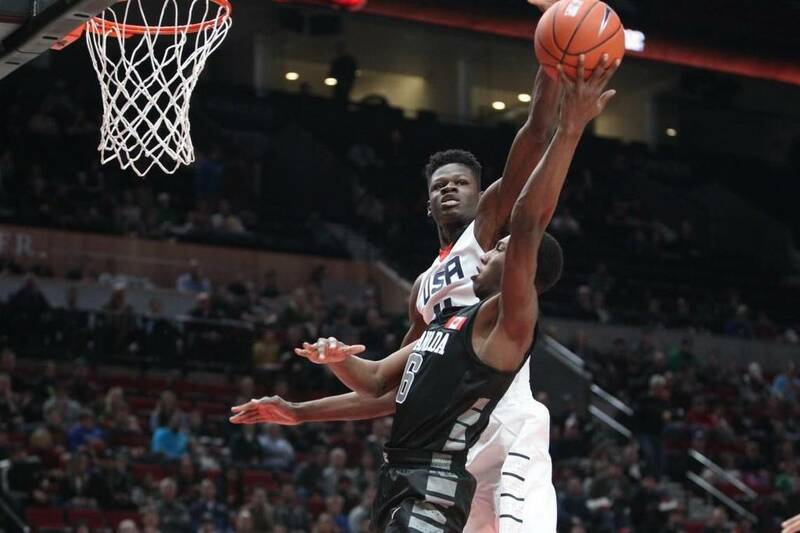 He will be a bit of a project for the NBA team that takes him, but he should be able to have an impact right away on the defensive end.Tomes' NBA comparison for Bamba is Rudy Gobert, and that seems right. At the NBA level he should be able to run the floor, rebound, defend at the rim and away from it, and switch quite effectively. That would fit the Celtics system as his offensive game improves. I believe Danny Ainge will be evaluating Bamba's NBA possibilities.